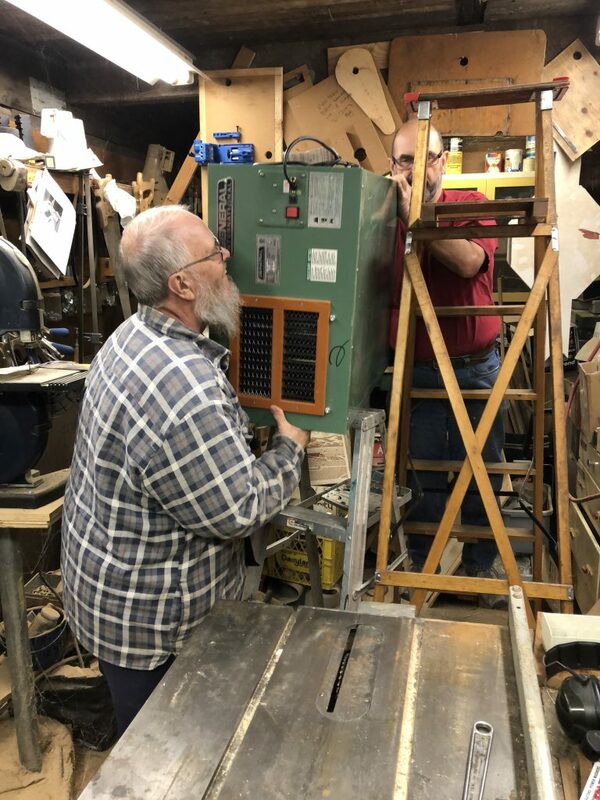 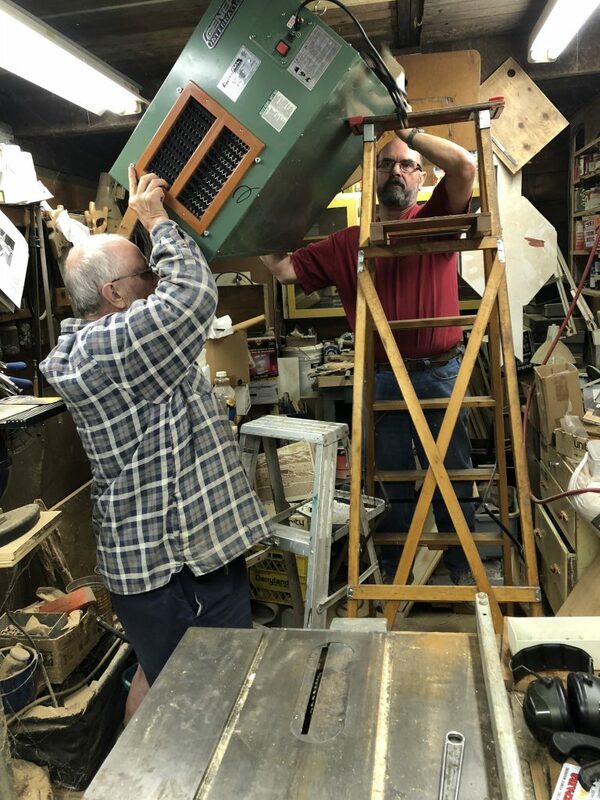 Mike & Doug installing an air filtration unit in Doug’s Garage, where we also worked on Men’s Shed projects. 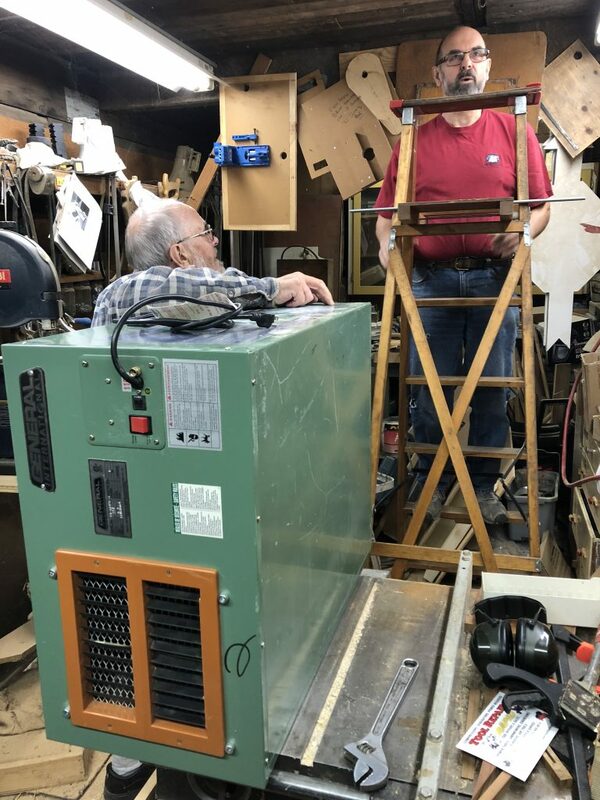 These pictures are of Mike Jennings, (in the red shirt), and Doug Gale installing an air filtration unit in Doug’s garage, which is our temporary Coquitlam Men’s Shed for wood work. 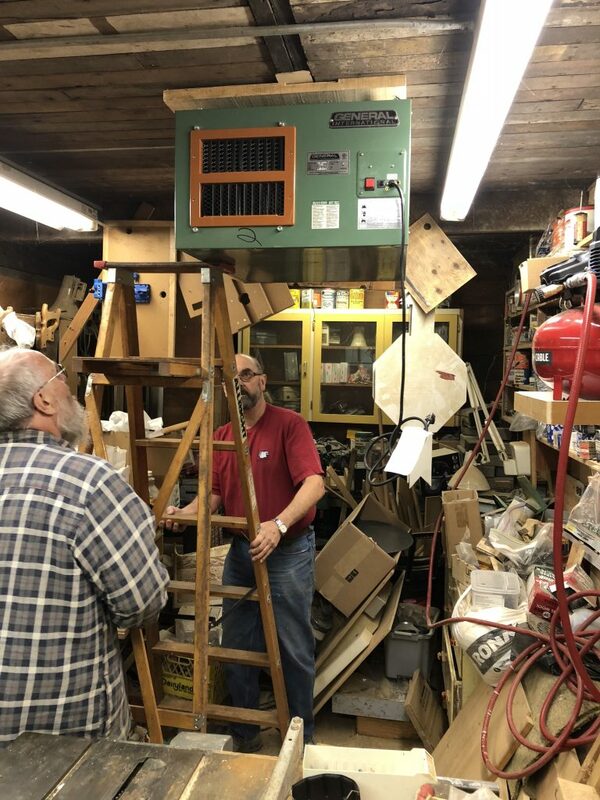 Took some brains and bronze to install the unit from the ceiling.